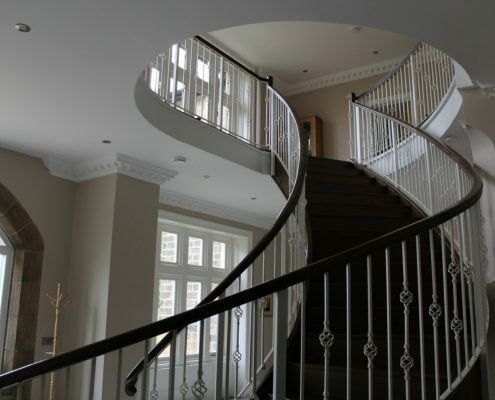 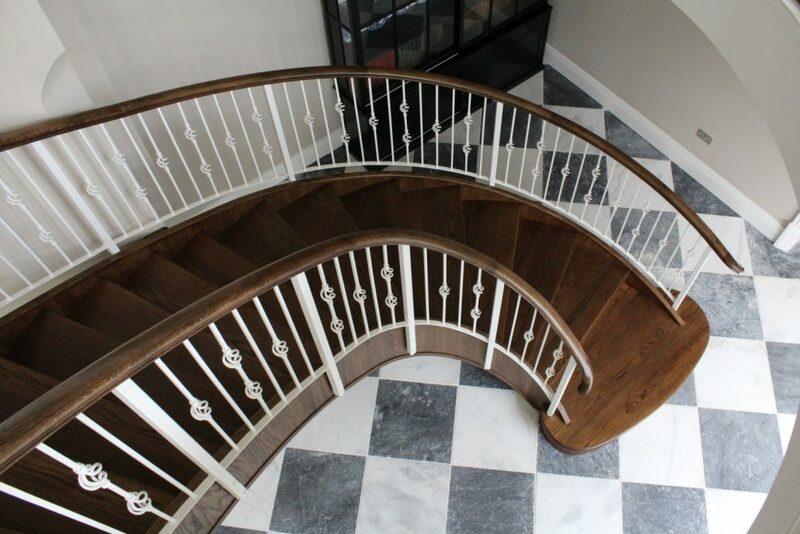 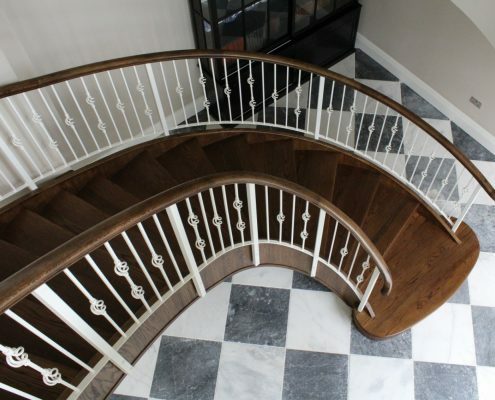 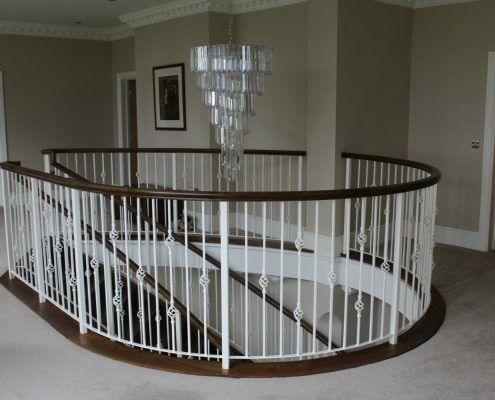 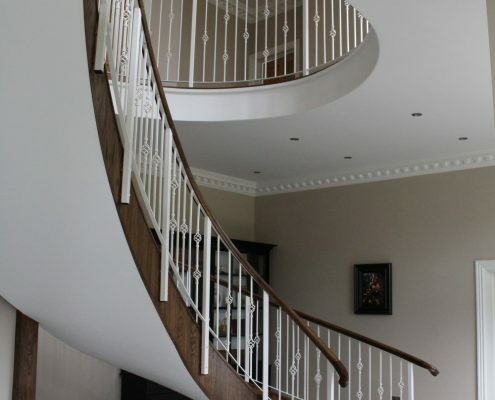 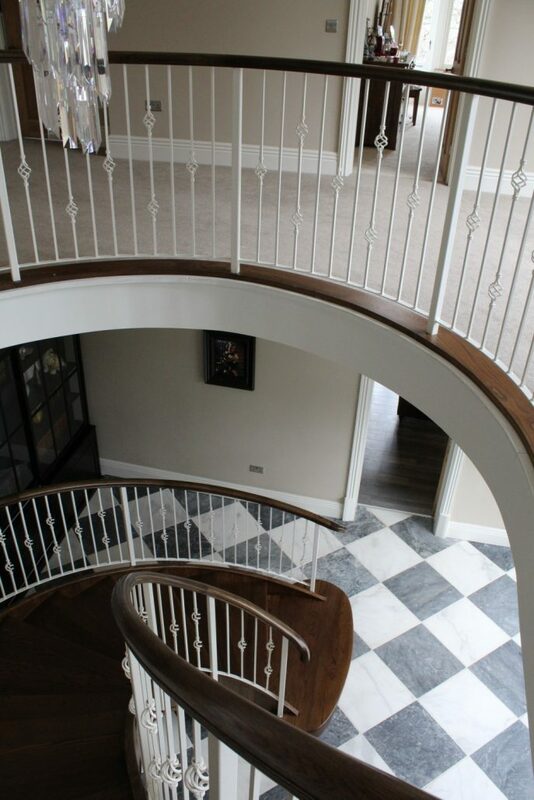 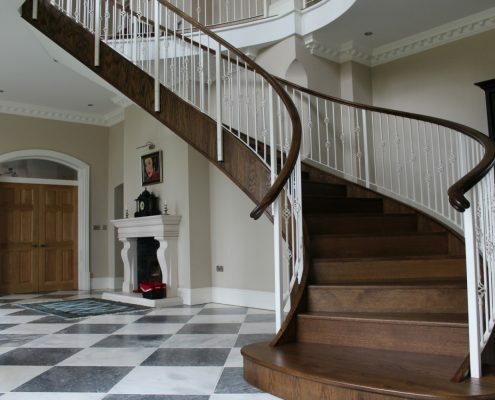 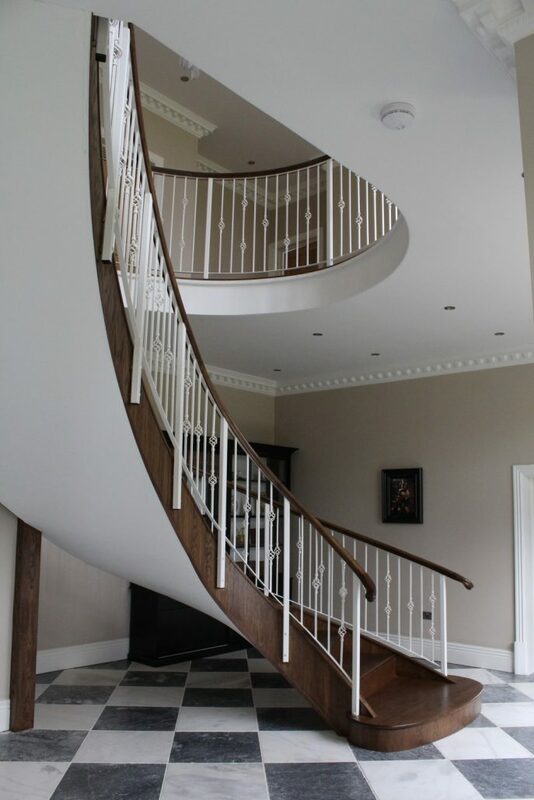 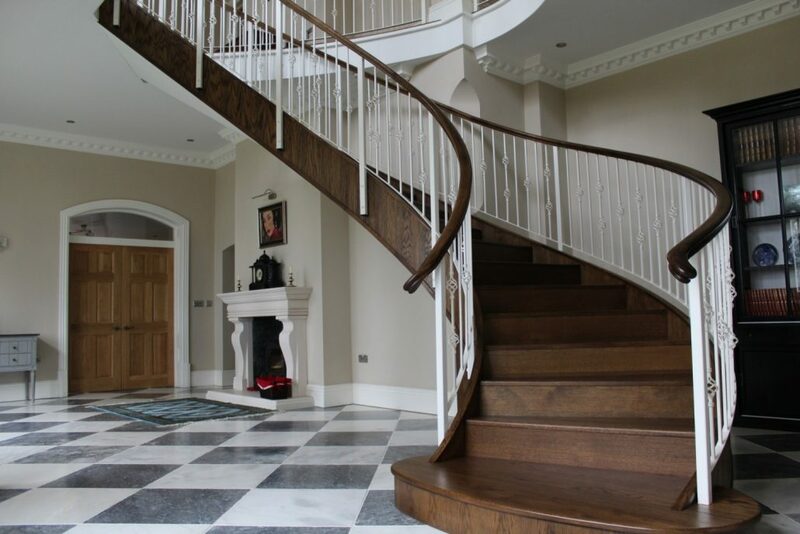 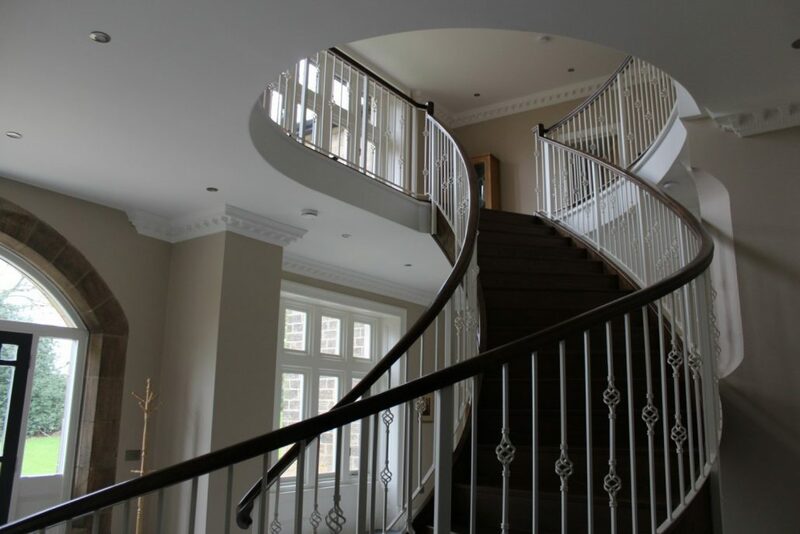 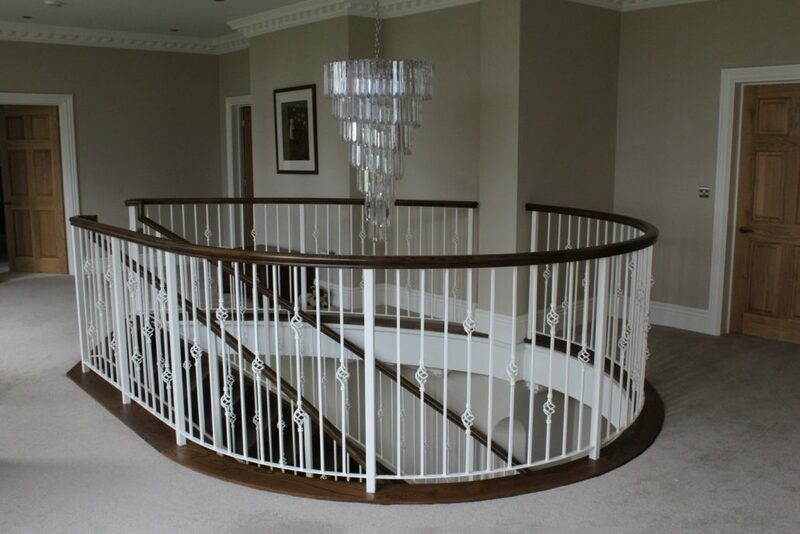 Working alongside the Stair Company, we were asked to manufacture oak handrails to suit this bespoke steel staircase in Yorkshire. 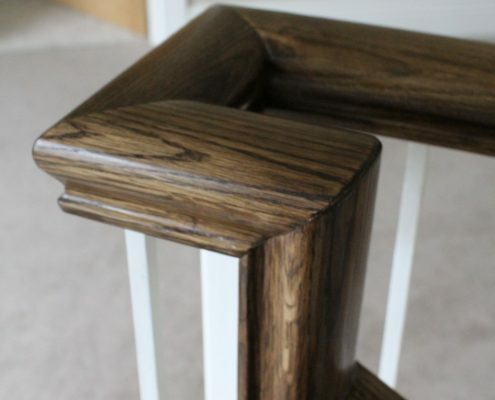 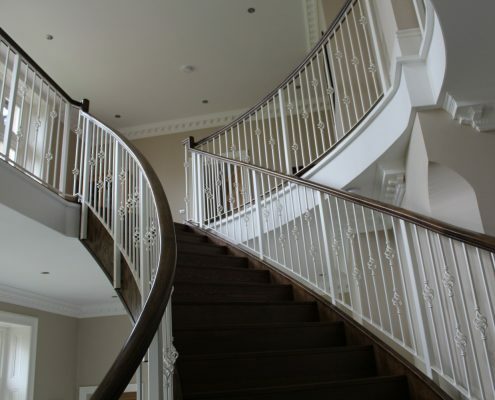 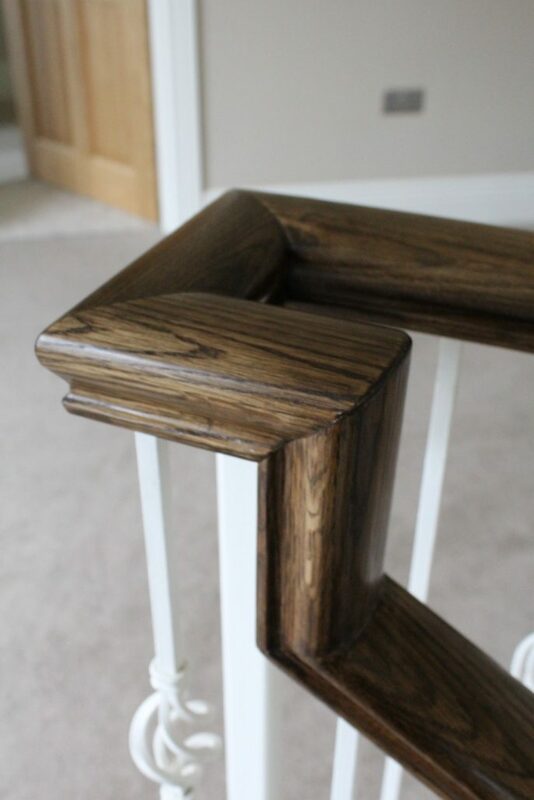 The simple profile and large sweeps allowed us to create a fully continuous handrail which was pre-bolted and completely pre-assembled in our factory. 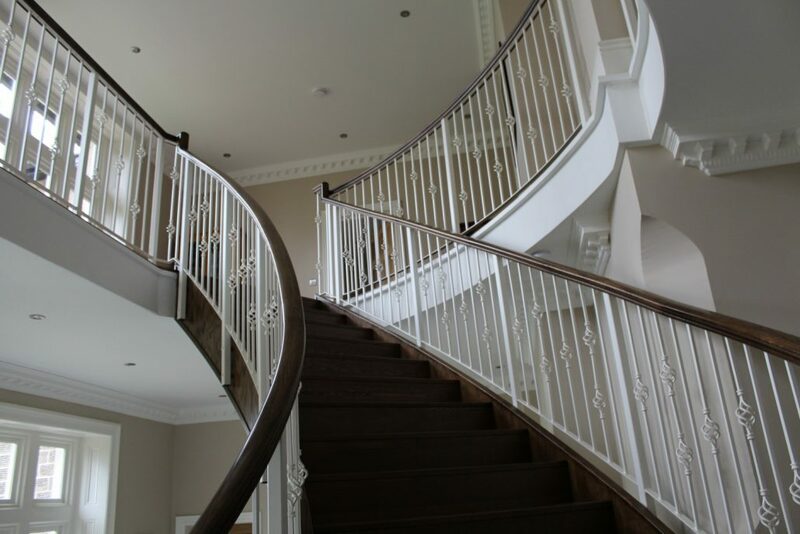 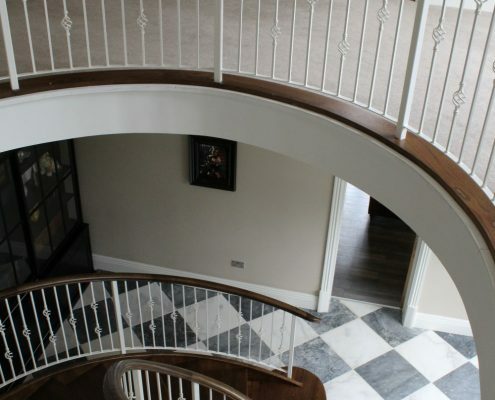 We were asked to make the handrails on a supply only basis, and because of our unique fixing system, the install took less than a day meaning minimum disruption on site and one very happy customer.